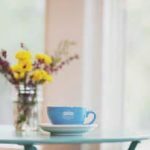 Much like most trendy cities in the United States – and, yes, I think we can officially consider Charleston a city – coffee spots are a dime a dozen. Still, just because there seems to be (maybe there is?) a new spot to get your caffeine fix on every corner doesn’t mean they’re all the same old coffee house. 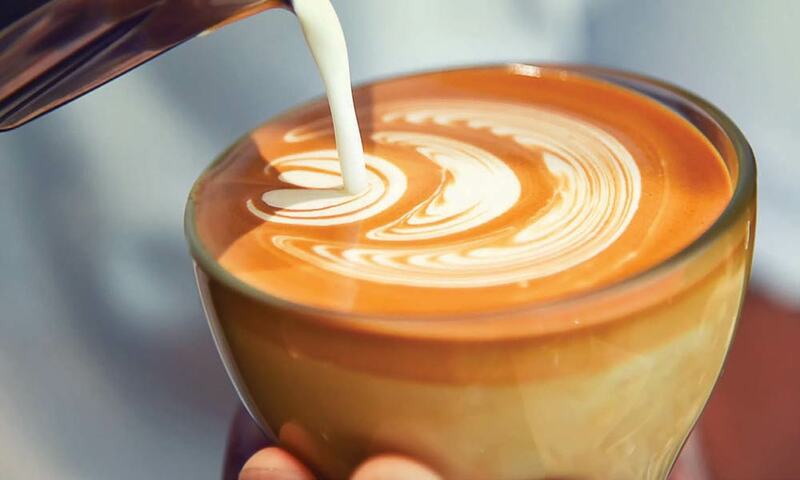 From environment to quality of coffee to the delicious accompanying bites to eat, some cafes are simply better. 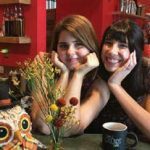 Here are eight local spots throughout the Holy City and its environs that are bringing the much-needed jolt of both happiness and energy on a daily basis – and no, Starbucks did not make the list. Operating out of an old converted home, Vintage is always buzzing with a creative crowd throughout the day in Mount Pleasant. With all the normal coffee choices you’d expect from a quality café, plus wine and beer selections (yay! ), Vintage can keep you going all day long. Oh, and little local tip? Get the lavender mimosa – do it now! 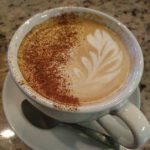 If there’s one thing that local caffeine aficionados can agree on, it’s that the honey latte from Metto Coffee & Tea is the drink to try. Take their word for it, or enjoy a robust espresso and delicate pastry like I like to indulge in. No matter what you try, you can’t go wrong at Metto. One word: quiche. Two words: must have. Yes, the coffee is delicious at Tidal Grounds in Mount Pleasant, but if you’ve never tried a bite of their fluffy, creamy quiche of the day then I can say with full confidence that you’re missing out in life. It’s the thing dreams are made of. Literally, my dreams – I’ve dreamt of it. Consider me obsessed. Do you love a hot cup of joe but your main squeeze loves a cold pint of hoppy beer? 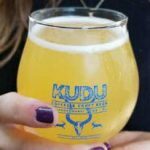 With Kudu Coffee & Craft Beer, you can have the best of both brews and avoid the never-ending debate of where to pass the time. With a great outdoor space, fantastic coffee and an incredible selection of mostly local beers, it’s obvious why Kudu is a must-stop location. Come for the coffee; stay for the welcoming environment. 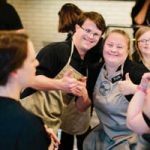 According to their website, “Bitty & Beau’s Coffee creates a culture where diversity is not just appreciated; it’s celebrated” – and frankly, that’s enough to make me a repeat customer. 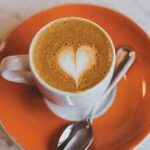 Grab a cup of coffee downtown, but, fair warning: You may leave happier, kinder and inspired – it’s one of those pesky side effects from being around genuinely happy people. Formerly a much smaller location just around the corner, Orange Spot has been a steadfast love of the Park Circle community for some time now. Stop into their fairly new (and larger space) for a chocolate-chip banana muffin, vegan doughnut or coconut espresso smoothie. And a little birdie told me there’s a delicious brunch the first Sunday of every month that you won’t want to miss! Oh, holy chocolate croissant heaven! 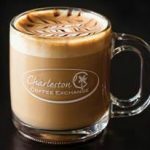 Located in West Ashley (so close to my home I can almost smell them fresh in the morning), Charleston Coffee Exchange has melt-in-yourmouth pastries, an insane number of options for coffee beans available for purchase and one of the best nitro cold brews in town. Not to start a turf war, but I hear the honey latte is a top contender in Charleston, too! A newbie spot in West Ashley? Yes. New to the coffee scene? Not so much. 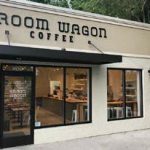 With awards for their coffee-bean skills, the husband and wife duo behind Broom Wagon recently placed eighth overall for roasted coffee in the U.S. Roasting Championship. Not to mention their waffles are out of this world. Have you tried the peanut butter banana waffles yet? Trust me; you should.